A US woman who was living in San Pedro for some time was picked up by US agents with the cooperation of local police and whisked away to the United States. 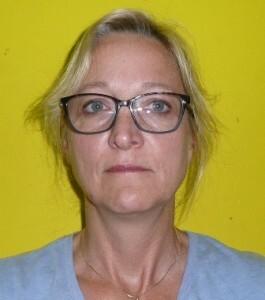 There is little information available locally on how she was arrested and flown to the US, but the US Department of Justice in a statement says that fifty-three year old Mary Mooney, who is from Belmont North Carolina, was arrested at her San Pedro apartment last Tuesday. The US claims Mooney and three others arrested on the same day: fifty-three year old James Harding from Georgia, forty-two year old Alisa Bivens of Gastonia, North Carolina and Haile Mekonnen of Ethiopia are under investigation for conspiracy to defraud the US government as part of an adoption scam. The three are accused of carrying on the scheme for five years during which they violated the laws relating to the adoption of Ethiopian children by using US parents. The group allegedly submitted fraudulent contracts of adoption to Ethiopian courts to secure adoption decrees and present these to the US Embassy in Ethiopia to obtain visas for the children to travel to the US. The indictment also charges that the scheme involved paying bribes to an Ethiopian government official. Mooney was apparently arrested in a pre-dawn operation, taken to the US Embassy in Belmopan and then to the United States to face charges. She is identified as the former Executive Director of International Adoption Incorporate. According to the US Department of Justice, “The defendants are accused of obtaining adoption decrees and U.S. visas by submitting fraudulent adoption contracts signed by orphanages that never cared for or housed the children, thus undermining the very laws that are designed to protect the children and families involved.” Meanwhile, Assistant Secretary Gregory B. Starr of the Department of State’s Bureau of Diplomatic Security stated that “the Bureau of Diplomatic Security uses its global presence to vigorously investigate any fraud related to the acquisition of U.S. visas.” There is also a comment from the Department of State’s Bureaus of Consular Affairs and Diplomatic Security. It says that it is firmly committed to working with the U.S. Department of Justice to investigate and bring to justice people who victimize children and families by abusing inter-country adoption system and bribe officials to facilitate their actions. The US government is reportedly seeking to have Mooney’s assets in Belize frozen.